Newcastle United Football Club is a club on the up, finishing comfortably in the top half of the Premiership league table last season. This success could be attributed to many different elements – the skill of the players, the knowledge of the manager, the support of the fans, or the excellence of the facilities. However, one feature that has remained consistent week in and week out is the quality and playability of the pitch. 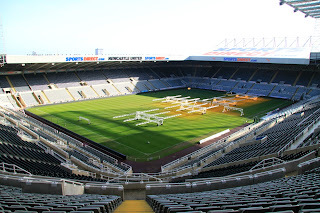 Since 2007, Newcastle United has had a Fibrelastic pitch from Mansfield Sand. 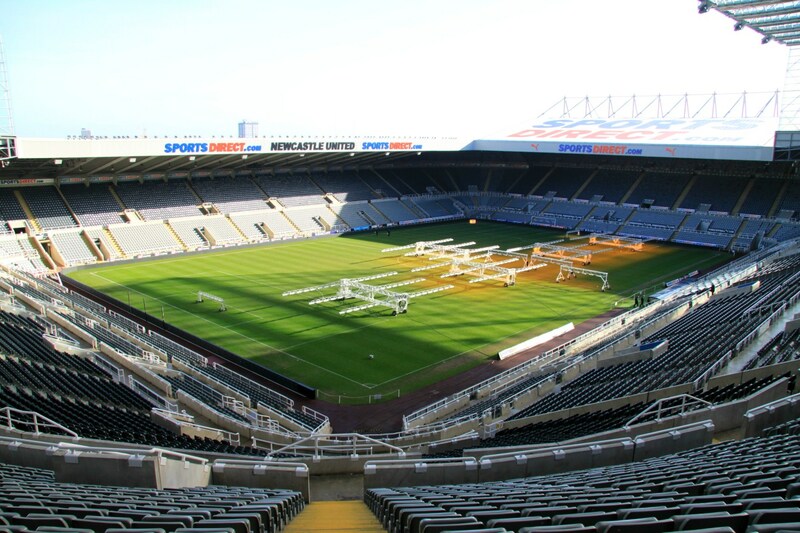 The Club was the first in the UK to use the new pitch technology, and with the care and expertise of its groundstaff it continues to go from strength to strength – so much so that three more Fibrelastic pitches have been installed at the Newcastle United Football Club Training Centre. Research by Stanford University School of Medicine has shown that college American football players are approximately 40% more likely to suffer from knee injuries when playing on artificial turf than on grass. The American Journal of Sports Medicine has published the results found by Dr. Jason Dragoo based on his study of players injuries over a period of 5 years, as reported on the Reuters website here. 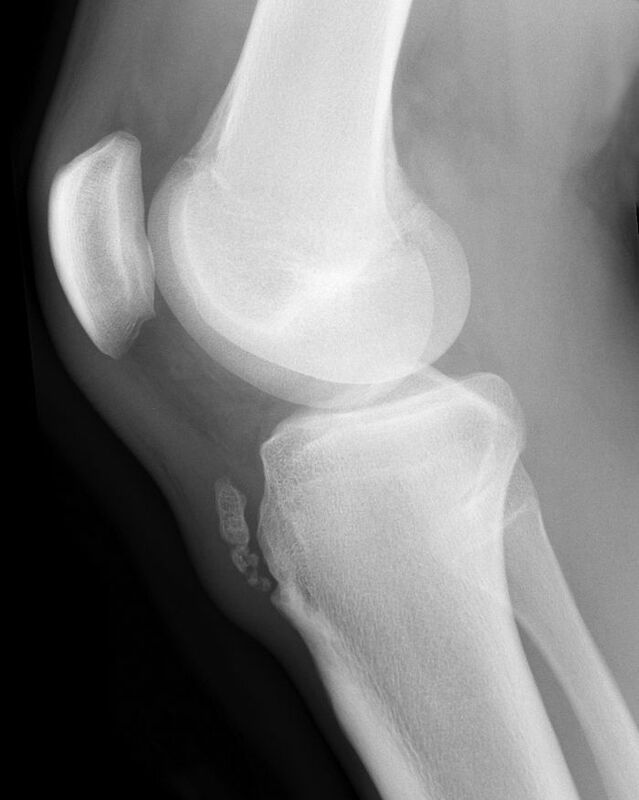 "James Bradley, the chief orthopedic surgeon for the Pittsburgh Steelers and a clinical professor at the University of Pittsburgh, said the findings support what's also been observed in the National Football League. The problem may be how good a grip players can get on the surfaces with their shoes, with (artificial) turf perhaps providing too good a grip, he and Dragoo said. "So if you are in the wrong position, because your leg doesn't give way as it does on grass, it can distribute that force to your knee and cause an injury," Dragoo said." Research by the Sports Turf Research Institute showed that grass playing surfaces that used a Fibrelastic rootzone resulted in a reduction in surface hardness and an increase in surface resiliance, making the grass surface more player-friendly. 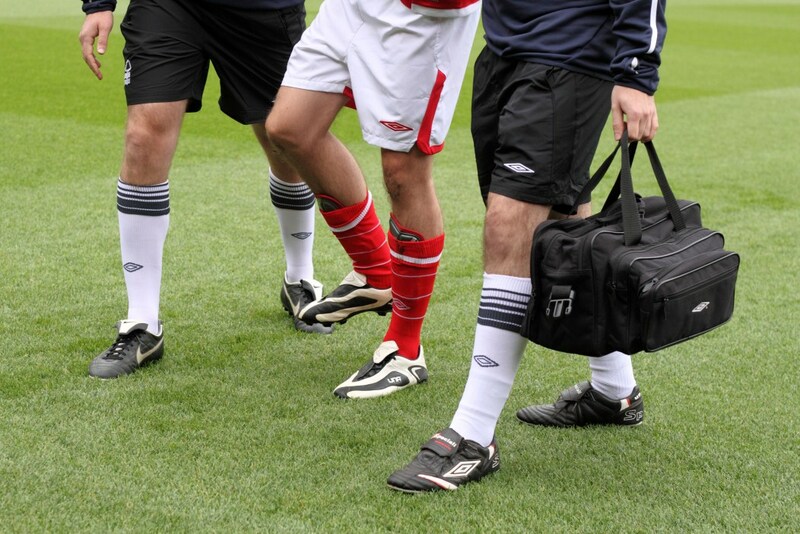 We maintain that the most important asset to a sports team must be the players themselves, and that making them as safe and comfortable is of paramount importance. Whilst we await the results of the Football League’s online survey regarding views on whether artificial pitches should be used in first team matches, Spillerforeningen, the Danish Football Players’ Association has announced the results of its own survey about artificial pitches. Players from the association were asked about their opinions on the use of artificial turf, and how playing on natural turf differs from artificial turf. The findings show that “96% of the Superliga (Danish football championship tournament) players believe that the quality of the Danish pitches should be improved by investing more money in natural turf rather than artificial turf”, and that “83% of the Superliga players think that the game changes fundamentally when played on artificial turf” according to the FIFPro website. Director of the Danish PFA, Mads Øland said of artificial pitches “The core of the game itself changes when it is played on artificial turf. The ball bounces differently and gains more speed and there are fewer duels and sliding tackles. It is basically a different game all together”. We’d also like to hear your opinions about the possible re-introduction of artificial pitches to the Football League. If you’d like to get in touch, please leave your comments on our Facebook page or via Twitter @MansfieldSand. The Return of Artificial Pitches? BBC Sport has highlighted an important debate regarding artificial pitch surfaces and their possible re-introduction to the Football League. The Football League has launched an online survey to gauge people's opinion to the possible re-introduction of artificial pitches which were banned by the Football Association in 1988 because they were said to cause injuries to the players and the quality of football played on them was poor. "The players of my era have had major problems with hips and joints as they have got older," said the 60-year-old. "Modern pitches have shock pads and they are getting better and better but, in my view, they will never replace the beautiful surface of grass." Mansfield Sand developed Fibrelastic with player comfort as the key benefit of the playing surface. We believe that the players are a football club’s greatest assets and that their comfort is of the utmost importance. 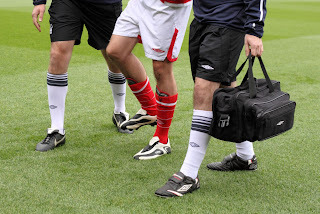 We look forward to hearing the reactions from players, physios and managers to the possible re-introduction of artificial pitches, once the results of the Football League’s survey have been collated. Could artificial pitches be set for a return to Football League? Despite losing 1-0 to Birmingham City in last night’s FA Cup third round replay, Wolverhampton Wanderers had one thing to be proud of – their pitch. Throughout his commentary, Jim Belgin could not praise the Molineux surface highly enough. The Fibrelastic pitch from Mansfield Sand was installed in the Summer of 2010, together with a Fibrelastic training pitch. The totally natural turf surface on top of the fibre reinforced Rootzone has now created a resilient surface that puts player comfort first. Despite the season being at the midway stage and the winter at its peak, the Molineux pitch is still looking in top condition. However, the same couldn’t be said the same time last year as despite a £1 million investment the pitch was performing below par. Head groundsman Wayne Lumbard explained, “It was a brand new pitch at the time but we had a few teething problems which only presented themselves during the worst of the winter weather. “To rectify the problem we have taken the top 15 millimetres off the pitch and added another 15 mm of a more concentrated mix of sand and soil to make it firmer. We worked with M J Abbott, a local firm, and Fibrelastic to get the best mix possible. It has mixed really well, growing in with the roots, and the grass is now growing really well,” adds Wayne. With only another four games between now and March, which is when the grass will recover and start to grow again, Wayne is confident the Fibrelastic pitch will remain in the best possible condition for the rest of the season. Roy gets in the rootzone! Manchester City F.C. have installed a brand new Fibrelastic pitch at the Carrington Training Ground, after years of observation and research by Grounds Manager, Roy Rigby. Read all about it on the PitchCare website: Roy gets in the rootzone! Welcome to a natural grass pitch with a new feel with Fibrelastic - that gives you less risk of player injury. A player out of action can cost a club a small fortune. Praise for the Glasgow Rangers FC Pitch!